I got the chance to try a wine the other day that simply took my breath away – it was that wonderful. I have tasted previous vintages of it before and it has always impressed me and always makes its presence felt. It was a Spanish wine and some of you will know of my admiration of fine Spanish wines – see here and here. The wine in question was made by the great Contino Estate in Rioja, which is part owned by C.V.N.E, when Contino was created in 1973 it was the very first single estate wine produced in Rioja and it has blazed a trail ever since. 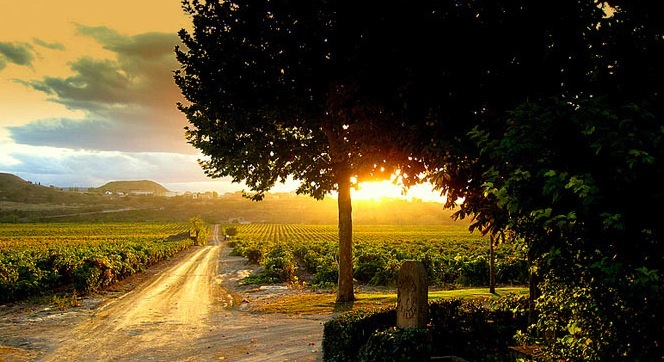 The estate is in the Rioja Alavesa sub-zone, between the town of Laguardia and the River Ebro. This places it in the Basque part of Rioja, but it is in fact only a few kilometres from many of the famous place names of the Rioja Alta sub-zone, most importantly Logroño and Fuenmayor. The vineyards on the estate cover a little less than 50 hectares and the vines gently slope down to the River Ebro which pretty much surrounds it on three sides. This makes for a superb localised climate in the already excellent climatic conditions of Rioja Alavesa; hot dry summers with pretty cool winters with adequate, but limited rain. There are big temperature drops between night and day as well, which helps coax real elegance out of the grapes. The wine I tasted is their most prestigious offering – Viña del Olivo 2007, made from 88% Tempranillo and 12% Graciano grapes it is named after the vineyard plot that surrounds a 1000 year old olive tree. Harvesting is entirely by hand with a rigorous selection of the fruit, fermentation is in large French oak vats before the wine is sent to new French oak barriques for the malolactic fermentation. This is followed by 17 months barrel ageing in a cocktail of French, American and Hungarian oak barrels. Winemaker Jesús Madrazo makes this wine in a style commanded by the fruit from the vineyard with no reference to Reserva or Gran Reserva on the label – this wine stands on its own . The colour was an intense, opaque, inky purpe-black. The nose was enticingly fragrant with rich dark fruit mingling with caramel and oak and spice notes. The palate was sumptuous and elegant with a rich seam of black fruit balancing the ripe, fine grain tannins and the finely balanced oak spice. Right now it is young and vibrant with superb fruit to the fore, the savoury nuances and complexities hovering in the background. The texture was smooth and supple with just the right amount of firmness and edginess marking it out as a fine wine. It is glorious now, I can only imagine how good it will be in ten years time. This was not simply a great Rioja, it was great, great wine that happened to come from Rioja – 95 points. The 2005 vintage is available from Waitrose @ £42.95. Looks like it’s really good. I could nearly smell it, the way you describe it. 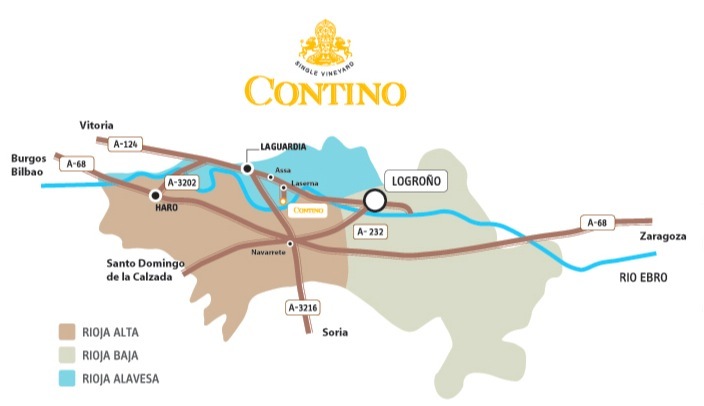 I have had the pleasure of partaking in many wine tasting with Winemaker Jesús Madrazo at the Contino Estate & in London . He is a perfect gentleman & all his wine are fantastic I have yet to taste the Contino Viña del Olivo 2007. I also had the pleasure the last time we visited in 2008 of having a sample taste of his new project a white wine. It is made out of viura, malvasia and garchacha blanca grapes . I have just notice on the CVNE web site it is being released for the first time this year . Can’t wait to get my hands on some ! I have no doubt that it will be as good as all his range. My personal favourite is the Graciano.